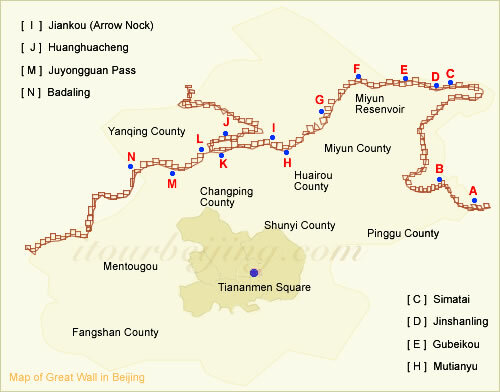 Great Wall Map provides the overview location of the wall throughout China and the maps of different sections of the Great Wall as well as the Great Wall maps of different periods in Chinese history. The Great Wall stretches over 7000 kilometers from east to west China, winding up and down across deserts, grasslands, mountains and plateaus, and spans nine provinces with the starting point meeting the sea. From these maps, you will get a vivid image and visual understanding on the awesome size and scale of this incredible monument. 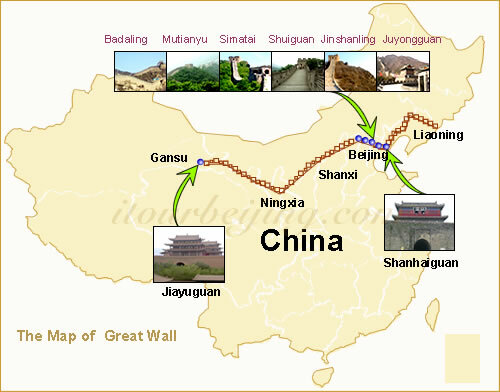 Reference from maps will also give conveniece to the Great Wall transportation.